Floating chalets Merbok Kedah Malaysia are located in the vicinity of Kampung Segantang Garam Merbok Kedah. The chalet was built on January 16, 2010 with cumulative funds from Merbok Area Farmers Organization (PPK) and Farmers Growth Authority (LPP). This chalet is perfect for anyone who wants peace and quiet. The area around the chalet is adorned with the beauty of the green mangrove forest of the Merbok River with the backdrop of Mount Jerai. The Chalet is considered unique as it is the only floating chalet operated by KDP throughout the country. 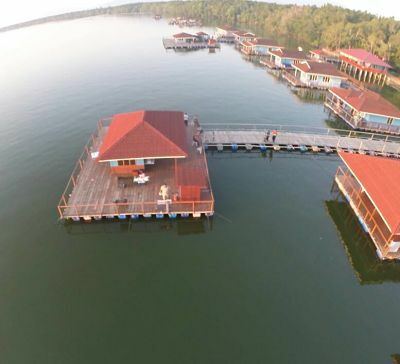 According to the manager here, Merbok Farmers and Tourism Infrastructure Division Manager, Mr. Hamdan Awang said they now have seven floating chalets. Two of these chalets are equipped with air conditioning and a chalet here is a VIP equipped with furniture, kitchen utensils, television and lounge. In addition, they also have two separate chalets without air conditioning and four separate bedrooms. The main attraction of a floating chalet is fishing activities. A platform is provided for fishing activities by tourists. The fee charged for fishing activities is RM15 per person without a prescribed time limit for visitors not staying in this chalet. There are various types of fish that can be found here: seafood, snapper, grouper and cheese. While for visitors staying in the chalet they have the opportunity to do fishing activities on the islands near the boat service. The establishment of this floating chalet has its own goal. The chalet was developed to provide employment opportunities among farmers or KDP members in Ban Merbok. They can earn side income by providing boat hire, driving tourists, selling crops or raising rivers. According to the villagers in this chalet, floating chalets have been very encouraging, regardless of tourists within or outside the country. 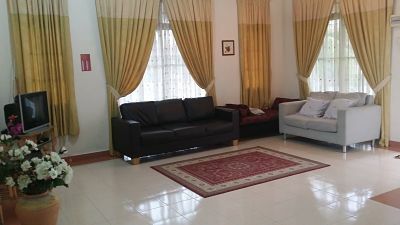 If you want to stay in this chalet, the rate charged is RM40 to RM250 per night. This chalet says it receives full bookings almost every day and rarely receives walk-in visitors because the room is always full. This chalet gets a warm welcome when the school holidays come.